Painted finish has a brushed antique charcoal appearance. Made of solid hardwood. For your convenience, it hangs vertically or horizontally. Includes an easel for the desktop and one ready-to-use certificate. 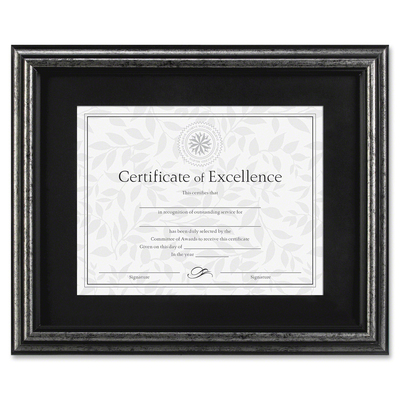 The painted finish on this handsome document frame has a brushed, antique charcoal appearance--adding a professional demeanor to your achievement or diploma. Showcase your important document in this solid wood frame. For your convenience, it hangs vertically or horizontally.